To further compound our appearance as ‘small town yolkels’, we involuntarily stopped to gawp for a moment as we entered the colossal Traders Hall. The UK Games Expo is on its 11th year of hosting board, dice, card, role-playing and table top games in Birmingham. In 2016, they posted attendance figures of 25,149 – nearly doubling the previous year – with 170 booths hosting 225 firms. This year, they look set to continue to top themselves and the sense of scale, development and improvement is everywhere: in the organisers, the attendees and the firms manning the booths. “It’s just getting bigger every year.” He said, “I was at Essen this year and there were more than 800 new products.” He stamps on their rubber floor to make sure it’s properly stuck to the hall floor. “A friend of mine working for [a distribution firm] was saying they’re bringing more than 150 new products onto stock every month – at GW, we’ve got more than 50 new bits of kit every month.” He adds with a pleased smile. Charles Gershom at the Lander booth kindly takes some time to chat to us about the game he and his childhood friend, Dan Alexander, have been working on. Charles and his team have a pretty clear view of how they’d like their game to develop over the next few years. 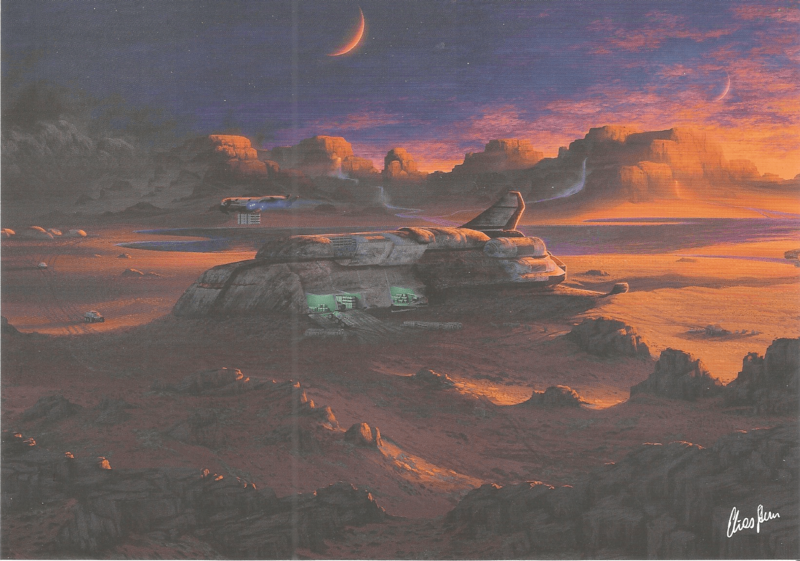 We take a moment to appreciate Elias Stern’s soft art with a strong sense of celestial isolation and it’s clear, that despite their plans for the future, here and now, Charles is quietly very proud of what he and his friends have made. “I love this kind of art style.” Remarks Ben as we take a look at the cool blues with no line art of the ‘Untold’ boardgame at the Creativity Hub. Michael Fox, their Marketing and Media head, hears us and wanders over. While many boardgames have their stories built into them, e.g. Resistance, ‘Untold’ provides the framework for players to collaboratively build their own in the style of a classic serialised tv show. Players set out what kind of show they’d like to make, create characters for that show and then use dice to define what happens at the different beats of the story. They collaborate to develop and embellish the story using the story structure, dice rolls and pass/fail results as inspiration. Michael chats to us about how the game is financed – it’s successfully reached it’s goal on Kickstarter, which ends on Thursday, and they’ve set realistic and achievable stretch goals in place. We note that it’s common for projects which blow past their target, to quickly set in place goals. Michael, as a Kickstarter veteran, smiles and says they’d planned their campaign carefully, with goals in mind, and they’re on track for an October release. Aaron Walth at the TMG booth talks to us about themselves and their games. 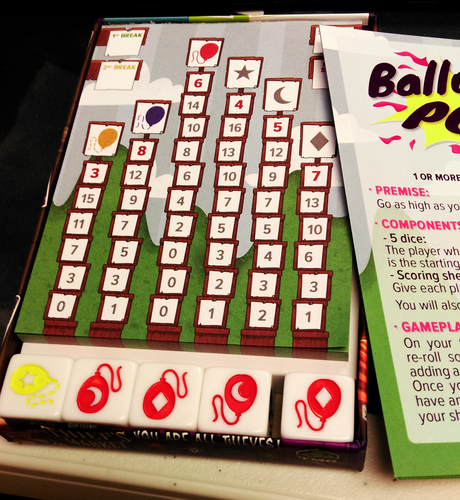 They focus on small card and dice based games whose boxes can fit in a handbag and take between 15 and 45 minutes to play. This is the exemplified in the core mechanics of their games where players are forced to think about and make decisions regarding trade-offs on benefits. Here, children can think critically about their decisions and adults are actively engaged with the game. We take a moment to chat about the firm as well. In the evening we headed over to the Hilton Hotel which is also hosting part of the Expo. There we were able jump into some LARP gaming, with planned games running in 4 hour slots, or shorter 2 hour slots for “Getting a game” where the party around the table got the option of shorter scenarios. We had a chilling encounter in a Cuthulu Hack, and the less said about the cat the better. 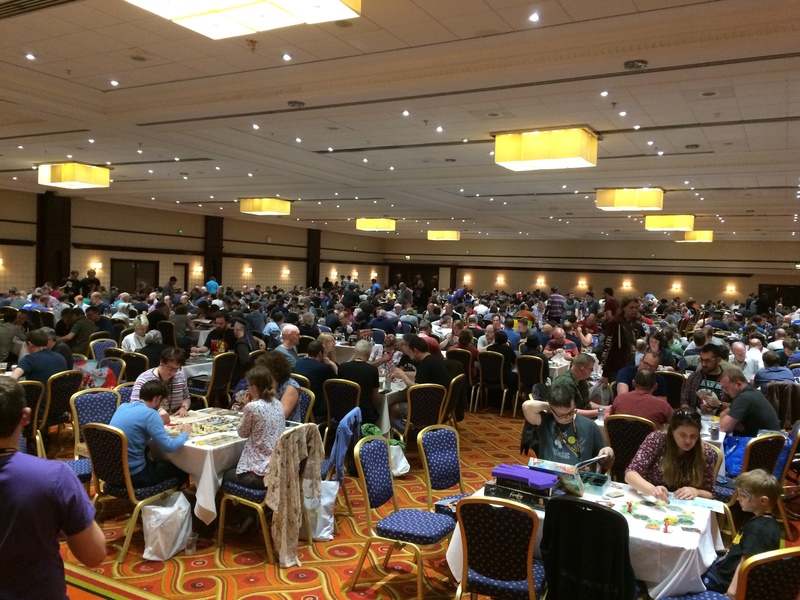 After the hall closed at 6pm, the Open Gaming library was moved over to the Hilton and attendees of the UK Games Expo were able to check games out and bring them to the table in one of the Hotels function rooms. Safe the say, the room was packed with people playing games from the library, or those they had purchased from the Expo during the day. Having spend 12 hours at the con on the first day, talking to attendees and staff, walking the floor, playing some games and struggling to keep our wallets firmly in our pockets, it was patently obvious we have only scratched the surface of the UK Games Expo. On day two, we’ll attend some live events, contribute to the ongoing ‘Playtest’ drive and spend some more time with exhibitors. And of course, we’ll let you know how we got on. Make sure to follow us on Twitter and Facebook to see our up to date postings.